The Rebel Sweetheart. 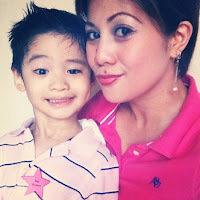 : Spotlight | Posh and Pretty with Eazy Fashion! There are two things I can't ever and will never leave the house without - makeup and accessories. Of course, you all know how much I love makeup. It is, after all, written all over this blog. As for the latter, well, I haven't really posted much about this, save for my Vera Wang watch and the surprise from my husband. However, if you're one of my regular readers and if you have an eye for detail, then perhaps you might have noticed the trinkets I wear in my selcas (self-capture) and/or Mommy and Me shots. England charm bracelet + my college ring. This is where the accessories come in. I jazz up my otherwise bland and boring outfit with showstopping baubles - a pair of dainty earrings, a quirky necklace, a chunky bracelet, or a funky ring. 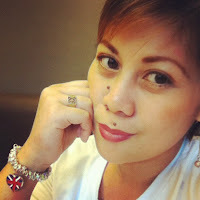 Hence, I am always on the look out for interesting jewelry pieces whenever I go to the mall or browse online. The more it screams for attention, the better. Best if they come in reasonable prices, too. Just recently, I've discovered Eazy Fashion - a haven of all things posh and pretty. Take a look at some of the items available at their online shop. Black Pearls and Gold Charms Bracelet. 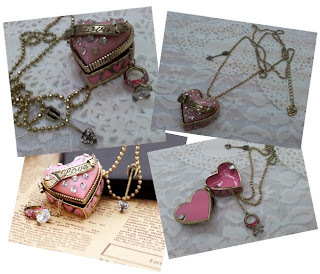 Pink Love Locket / Charm Necklace. They sell mostly Korean accessories, and you know I have a deep affinity for all things Korean. They come in pocket-friendly prices (wholesale prices, even) too, which is the icing to the cake. Rummaging through their vast collection and limiting your purchase to just a few items can be quite tough. Especially when everything you see tickles your fancy and catches your attention. I managed to resist the temptation of hoarding everything, and was able to narrow down my shopping cart to just six items. L-R: Starry Starry Night Black Chain Bracelet, Ruby Heart Stud Earrings, Purple Moon Stones Earrings, Pink Marmalade Star Earrings, Kissing Star Necklace, Sparkling Silver Star Studded Ring. As a promo, customers get the wholesale price when they purchase a minimum of six items. That way, you enjoy bigger savings as you buy more items. And for a single purchase of at least Php1000, you can have your orders shipped for free! Now let's take a closer look at my loot. First up, the earrings. I am impressed with how elegant these pieces are. They look so elegant, you wouldn't even think they're costume jewelry! The one in the middle is my absolute favorite. Yeah, you guessed it right. Because it comes in my favorite color. I'm a huge fan of charms, and needless to say, I'm totally smitten by this piece, too. It's a Disney-inspired kidada wrap complete with beads, stars, and a pixie charm. The price? Cheaper by a long shot than the ones sold at Disney Couture. Waaaay cheaper, if you understand what I mean. Now if you're a Kdrama/Kpop fan, this piece needs no introduction. But for the benefit of those who are not, this my friends, is the Kissing Star Necklace made famous by the 2009 Korean drama Boys Over Flowers. Finally, this ring, which I wore for the first time yesterday. It matches pretty well with the Kissing Star Necklace, don't you think? Now here's the thing. I have the pleasure and the honor of teaming up with Eazy Fashion for a huge summer giveaway. And when I say huge, I mean HUGE! We're giving away a prize package worth Php 1800 (more or less US$45 depending on the exchange rate for the day, lol)! 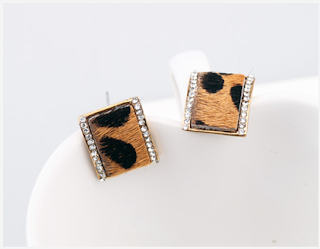 Two of the items included in this package are the Black Pearls and Gold Charms Bracelet and the Leopard Queen Prints Earrings, which I've mentioned above. I'm not squealing the rest of the prize package to keep you all in suspense, hehe. But I won't keep you hanging for too long as I'll be revealing the prizes come May 14th, when my Summer Splash Giveaway goes live. That's barely two days away! Shared with InstaFriday, Photostory Friday, Pink Friday, Pink Saturday, Happiness Is, Mommy Moments, Mom and Me Monday, Blue Monday, and i Heart Macro. You've got cute and fashionable jewelry there! Love the jewelry... I'll definitely be back to enter! I love stars, great choices! The pieces look so nice! Great that I've stumbled on your post and knew about Eazy Fashion. How I wish I'm fond of accessories. Haha. I love them, but not wearing them. Just on some occasions. I used to wear a lot of accessories! :D Actually, I think I over accessorize. But recently, I've become a plain jane -- lose top, leggings/jeggings and flats. I know it's so dull.. hahaha.. But this post inspired me to liven up my ensembles again and start throwing in a piece or two of nice axxes.. :) Loving the star ring btw. And my sis has a Kissing Star necklace too! OMG! I love the accessories. Especially the bracelets. i love the rings as well. It's nice buying to different online shops. wow loved the Korean loot! Will check their site next time! I must say I have heard alot about online sellers selling way cheaper than the others! By the way, count us as your newest followers thru GFC #475 and Facebook #4,821.
dropping by from MM, hope you can take a peek at my MM entry"
Motherhood Blues , please come and see. I am not a fancy dresser either. The less dressy the better. You definitely have good taste in jewelry. Love all the things you shared today. Omg. ang gaganda ng accessories. i want! I love those pink drop earrings.